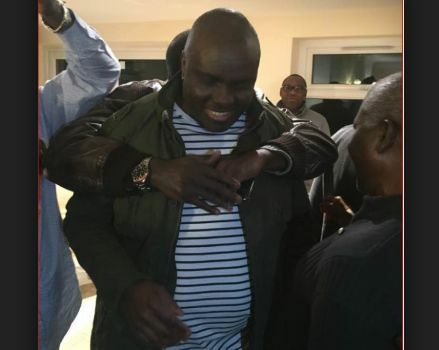 James Ibori latest news tells us that the released ex Delta state governor was paid N250m while he was in a United Kingdom jail between 2012 and 2016 by his state government.Now the question is,should a man convicted of robbing his state of millions of dollars,(billions if you believe other reports)be eligible for a pension?Should all that not have been forfeited with that criminal act he was convicted of? being a former governor, and in just 5 years Delta has paid him N250m. The convicted chief, who served between 1999 and 2007, signed into law the Delta State Governor and Deputy Governor Pension Rights and Other Benefits Law 2005 which was later amended in 2009. The law makes provision for an ex-governor to be paid N50m per year among other perks. Defending the payment of the cash to Ibori in 2012, the then Commissioner for Information, Chike Ogeah, said he would continue to be paid N50m yearly while in jail until a court nullified his tenure in office. He said this in reaction to an affidavit deposed to by Economic and Financial Crimes Commission which accused the state government of enriching a man who was in prison. Funny enough Delta State is one of the states currently struggling to pay salaries to workers according to news reports and it is sad that the state is owning pensioners, peoples' fathers and mothers who earns few thousands.But they have continuously been able to find funds to pay criminal who put the state in a position not to be able to pay its workers in the first place! What kind of crazy vicious cycle is that?Nigeria is truly messed up.